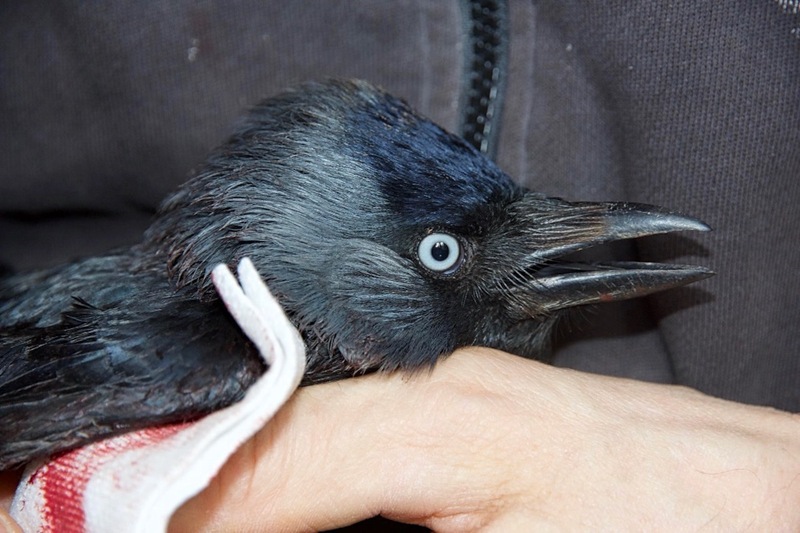 It is completely unexpected and with great sadness that we have to announce the loss of our residential jackdaw Moritz. 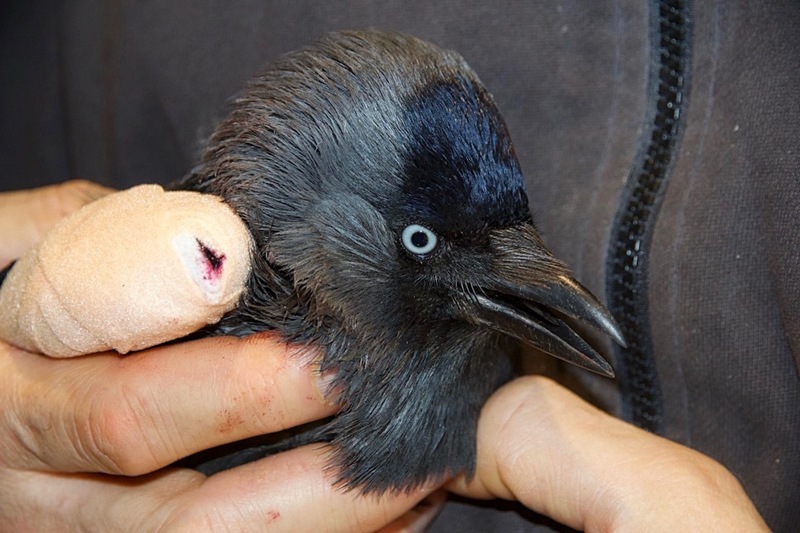 Moritz was an adult jackdaw, who has been admitted in March 2017 after being rescued and saved by animal carers at the local zoo following a vicious attack by monkeys. 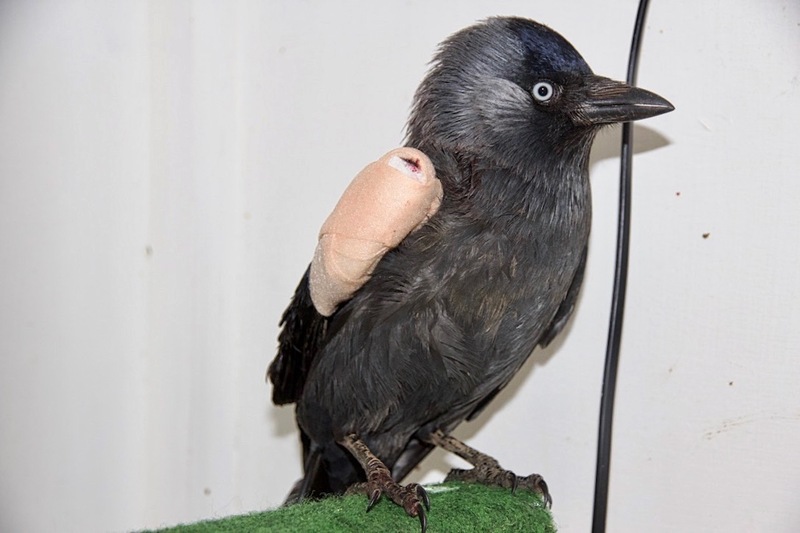 Moritz came to us in shock, severely bleeding and with comminuted compound fractures of his right wing. We managed to stabilise his critical condition and treated successfully his extensive injuries. The wing fractures had to be stabilised conservatively and needed surgical revision with partial tip wing amputation at a later date due to a bone infection, which impaired the healing process and was very difficult to control conservatively. Despite the severity of Moritz’ injuries, and despite the fact that Moritz had to spend quite a long time in our hospital tract, all his wounds including his psychological trauma healed well and eventually Moritz made a very good recovery. 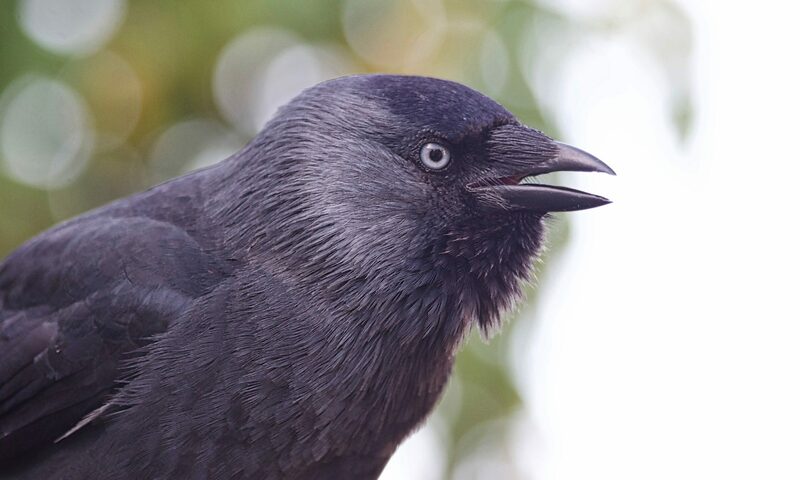 Not unexpected, knowing the social and emotional needs of jackdaws, it did not take long for Moritz to settle into our jackdaw community. He quickly became close friends in particular with jackdaws Alfons and Nina. Yesterday, without any warning or any visible signs of disease, Moritz passed away peacefully. Rest in peace Moritz! You will be sincerely missed!